We have reached the final episode in our current series “It’s time now”! where we have been looking at examples of where someone has been preparing a person for a task. Over the last two episodes, I have highlighted some principles taken from examples within the Bible. Today’s featured characters I believe we can truly relate to no matter of our gender. I say that deliberately as I mentioned at the end of the last episode that we would be exploring today a father and son like a relationship. Let me explain whilst these two characters were not biologically father and son, there was a bond and respect between them. There was an age difference, where the older experienced character saw potential in the younger/ less experienced character. The older character provided access to situations where the younger character could develop skills, in preparation for the task ahead of them. I could describe their relationship is that of mentor and mentee, teacher and pupil, but Paul himself described Timothy as his son. Check out (Philippians Chapter 2 verse 22). Paul’s own story can be found in Acts Chapter 9. Today, however, I want to focus on Paul meeting Timothy for the first time. Paul was travelling carrying out his ministry with his team, meeting fellow believers in different regions. (The full account can be found in Acts Chapter 16). He came to one area and received positive feedback on a young man called Timothy who lived with his parents, Paul wanted to take him on his missionary. Upon meeting Timothy he saw great potential in him and felt he could support him. Paul was older than Timothy I can imagine that Timothy may have been surprised that Paul had heard about him and equally that Paul saw potential in him. These are two points for us to think about, because on occasions we sometimes focus on the gossip, and react to the negativity that people want to say about us. Let us stop and realise that we do also have champions out there speaking positively about us. We sometimes don’t even realise its happening. This can bring about opportunities just like what emerged for Timothy. Let’s think about some relatable examples to our circumstances. It could be at home, school or where you work. Also perhaps at the club you attend, or among local businesses which are similar to your own. My point is that “Paul” maybe not too far from your circle and could offer you the support and guidance that you require for the next step. Let us accept such assistance. We could equally be ” Timothy” in an environment where some people make false assumptions about you yet you are striving positively, looking for the right connection to help you advance to the next level in a positive manner. A helping hand may not be far away. Paul made it possible for Timothy to join him on his journey, and he broke through what I would call stereotypes and stigma which some at the time raised over him wanting to have Timothy as part of his missionary or team. Timothy saw first hand how Paul, interacted, presented, himself in group settings and delivered information. This exposure prepared him for the time when they were to be separated, and Timothy had to take on the responsibility of being a leader in his own right. Paul, when he was separated from Timothy, encouraged him by letter with some instructions. (This can be found in 1 Timothy Chapter 1). Remembering the positive things people had said about him in the past. Keeping a clear conscious, ( not losing concentration on the task at hand). Paul and Timothy illustrate in so many ways support, encouragement and building another person up for tasks ahead. Paul also mentioned to Timothy he must also hold onto his faith, in our Heavenly Father. Let us take encouragement from this point and realise that our Heavenly Father is never away from us. 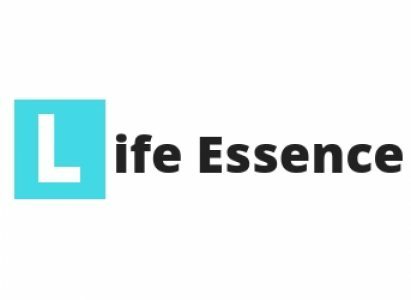 The entire series and accompanying material will be available on the Life Essence website soon. Previous Post Out for the count?